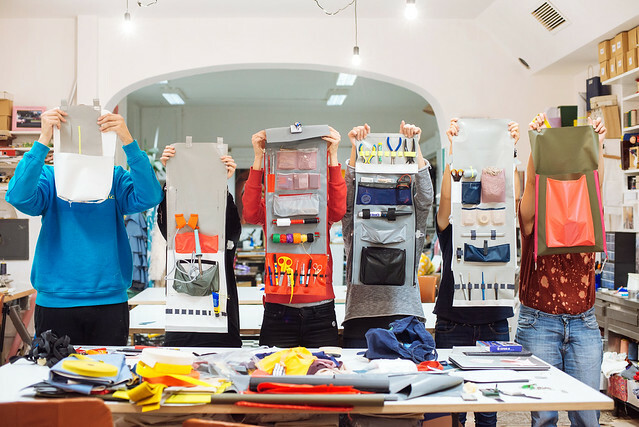 In this two-evening workshop, participants will build their own PIFpack – a small shoulder bag that unzips to transform into a wall-hanging tool-organizer. 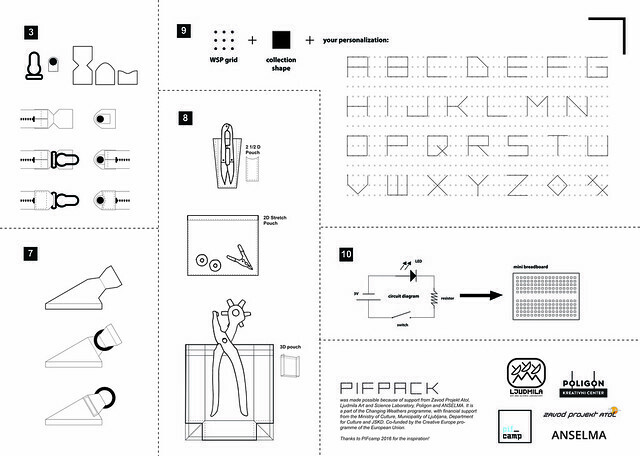 PIFpack is part of A Wearable Studio Practice, a collection of wearable and portable items that make it easier for makers of physical things to become nomadic in their practices. The PIFpack series is designed to maximize use of the bag’s surface. When closed, it is compact but also voluminous. When fully expanded, it offers lots of storage space and tool access options. 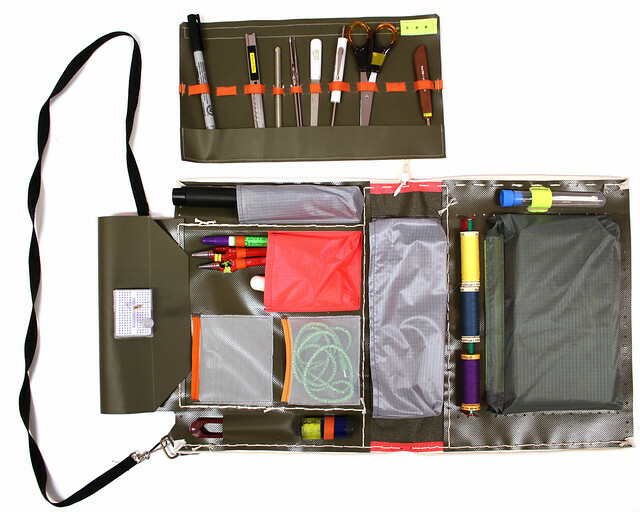 Different tool storage/access elements such as pockets, pouches, racks, loops, rings can be personalized by the maker to fit the specific needs of their practice. Since this project is based on my own practice in e-textiles, many of the features of the design are tailored for electronics and textiles tool set. But I hope this will change as copies are made by people using different tools and techniques. 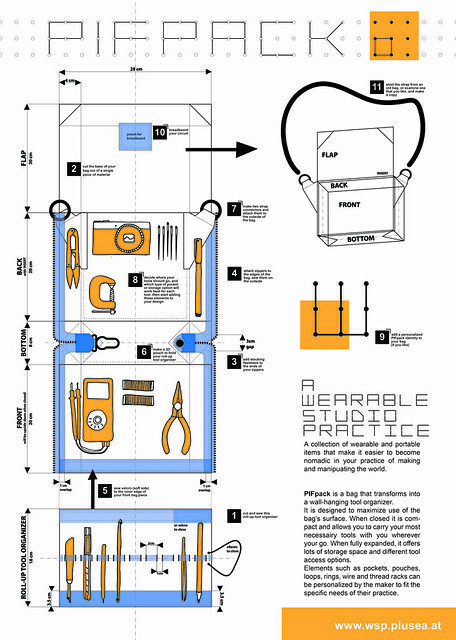 Prerequisites: this workshop is intended for individuals who have a tool-set for their own and would like to build wearable/portable studio items to make their practice more mobile. No previous sewing experience required. Consider using recycled materials when making this project! This workshop is a collaboration between Zavod Projekt Atol, Ljudmila and Poligon and ANSELMA is a part of Changing Weathers programme, with financial support from Ministry of Culture, Municipality of Ljubljana, Department for Culture and JSKD. Co-funded by the Creative Europe programme of the European Union. Thanks to pif_camp 2016 for the inspiration!